Are you a high school senior? Could you use an extra $250 for college? (2) Letters of Recommendations. (1) from your high school counselor & (1) from your high school teacher. Volunteering with Visible Hope: each potential candidate must volunteer with Visible Hope a minimum of 6 events. Minimum GPA of 2.8 on a 4.0 scale. Written essay: 3-page essay: 1. How you would solve the situation of people being homeless in the City of Huntsville, Alabama? 2. What programs would you create to improve their quality of life? These Rules & Regulations are specific to the Visible Hope Scholarship. The Program is governed by the rules set forth below. By applying for The Visible Hope Young Scholars: Scholarship Program (entering “The Competition”) you agree that you have read and will abide by these Rules and Regulations and the decisions of The Competition Sponsor. You also agree to comply with all applicable laws. The Competition is void in whole or in part where prohibited by law. Participation in The Competition constitutes full and unconditional agreement and acceptance of these Rules & Regulations. The Competition Sponsor is Visible Hope. are enrolled to attend any post-secondary institution for the 2018-2019 school year. 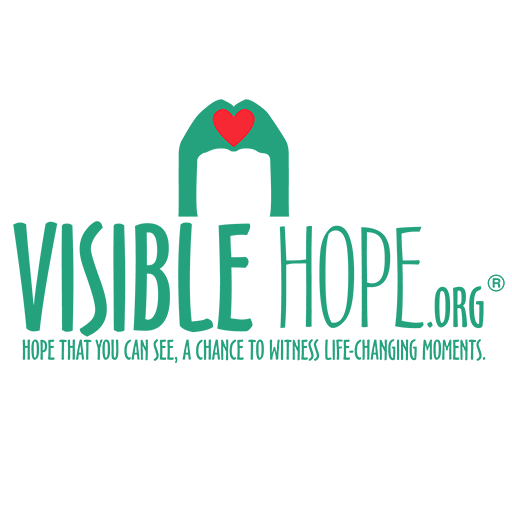 be a volunteer member of Visible Hope. Any entrants who are below nineteen at the time of their entry must obtain signed permission from a parent in order to submit an entry into the Visible Hope Scholarship Competition and must provide this documentation to The Competition Sponsor if asked. The Competition Sponsor shall have the right at any time to require proof of identity and/or eligibility to participate in The Competition. Failure to provide such proof may result in disqualification. All personal and other information requested by and supplied to The Competition Sponsor for the purpose of The Competition must be truthful, complete, accurate and in no way misleading. or attempts to circumvent any of these rules. No purchase or entry fees are required to enter or be awarded a scholarship as part of The Competition. Entrants who meet the conditions as outlined in the section above are eligible to enter The Competition during The Competition period by visiting www.VisibleHope.org/scholarships and fully completing an online application form and following the instructions provided, including uploading a photo. Visible Hope is founded on “People Helping People.” Show us how you’re helping people in your community and post it on your Facebook page publicly. The proof of enrollment and transcript will be viewed by The Competition Sponsor but will be kept confidential. Your photo essay, your first and last name and the picture of yourself will be posted at http://www.VisibleHope.org/scholarships for the public to view. You are solely responsible for ensuring that all information you submit is up-to-date and accurate. The chances of receiving a scholarship through The Competition are dependent on the number of applications received and the creativity and quality of those applications. Only one entry per person will be accepted. Entrants made with multiple addresses, under multiple identities, or through the use of any device or artifice to enter multiple times or entries that are in excess of the permitted number of entries during The Competition are automatically void. No purchase or entry fees are required to enter The Competition or to be a recipient of a scholarship from Visible Hope. Submissions shall not be returned to participants. If you are unable to submit a photo, please contact us at visiblehope.org@icloud.com. not contain material that infringes another’s rights, including but not limited to privacy or intellectual property rights. acknowledge The Competition Sponsor or any of their affiliates or subsidiaries may already be in the process of independent development and innovation for various products and services and therefore any disclosure of information or ideas submitted by the Applicant may not be new to The Competition Sponsor or their affiliates or subsidiaries and would not affect or impair its proprietary rights to their own innovation. Photos that are submitted with inadequate documentation, as determined solely by The Competition Sponsor, will not be eligible for the contest. Facebook is not sponsoring The Competition. Facebook and Visible Hope are not liable for any intellectual property issues or violations of U.S. law. The Competition Sponsor may disqualify any entry if they determine (in their sole discretion) that the submission does not comply with these eligibility requirements or otherwise with these rules. Four (8) $250 scholarships will be awarded toward the students’ 2019-2020 college or university. Scholarship money will be sent directly to the college or university you are enrolled in, we will not give money direct to you, no exceptions! Money can be used for any higher education expense (tuition, books, computer, etc.). All application forms, photo submissions, and other documentation will be evaluated by a team comprised of Visible Hope members who are experienced in judging and based on the evaluation criteria set out below, and whose decisions are final. The recipients of the scholarships will be announced, at the discretion of Visible Hope, by methods of Visible Hope’s choosing, by April 1, 2019. Sign a Declaration of Compliance with Rules and Regulations and an Assignment, Release and Indemnity Form, assigning all rights to the photo and essay submission to The Competition Sponsor, including all copyrights and moral rights and releasing The Competition Sponsor, their affiliates and respective advertising and promotions agencies from any liability in connection with The Competition or the scholarships awarded. Produce valid identification, which may include proof of age and photo identification. If the above requirements are not met, the recipient could be disqualified at the discretion of The Competition Sponsor, and another recipient may be selected in their place. By entering The Competition, you irrevocably and exclusively assign all copyright, without limitation of time, place, medium, support or language, in the photo or essay to The Competition Sponsor and waive all legal and moral rights to the photo or essay in favor of The Competition Sponsor. Accordingly, you acknowledge that The Competition Sponsor will have the unrestricted and exclusive right to use the photo or essay for any purpose, including but not limited to, publishing it in an electronic form on the Visible Hope website for promotional purposes without further compensation. The Competition Sponsor also have the right to (but are not required to) use your name, image, likeness, age, biographical information and school name in credit along with the photo or essay. You confirm that you are the sole author of the photo or essay and that you own all rights to it and are able to fully assign all rights to The Competition Sponsor as contemplated above. You agree to compensate The Competition Sponsor should any claims arise out of the use of the photo or essay by The Competition Sponsor. By participating in The Competition, each entrant agrees to be bound by The Competition Rules & Regulations, which will be posted and available at www.VisibleHope.org/scholarships. Entrants further agree to be bound by the decisions of The Competition Sponsor, which shall be final and binding in all respects. The Competition Sponsor reserve the right, in their sole discretion, to disqualify any entrant found to be: (a) violating The Competition Rules & Regulations; (b) tampering or attempting to tamper with the entry process or the operation of The Competition; (c) violating the terms of service, conditions of use and/or general rules or guidelines of Visible Hope; and/or (d) acting in an unsportsmanlike or disruptive manner, or with intent to annoy, abuse, threaten or harass any other person. Any attempt to deliberately damage any website or interfere with the legitimate operation of The Competition may be a violation of criminal and civil laws, and The Competition Sponsor reserve the right to seek damages and/or other relief from all responsible persons to the fullest extent permitted by law. By participating in The Competition, you release and agree to indemnify and hold harmless The Competition Sponsor and their employees, directors, officers, affiliates, agents, judges and advertising and promotional agencies from any and all damages, injuries, claims, causes of actions, or losses of any kind resulting from your participation in The Competition or receipt or use of any scholarship or prize. By participating in The Competition, you further agree to indemnify and hold harmless The Competition Sponsor and their employees, directors, officers, members, affiliates, agents, judges and advertising and promotional agencies from any and all damages, injuries, claims, causes of actions or losses of any kind (including actual legal fees and expenses) arising from or related to: (a) your failure to comply with any of these Rules and Regulations; (b) any misrepresentation you make under these Rules and Regulations or otherwise to The Competition Sponsor; or (c) your participation in The Competition. The Competition Sponsor shall have no liability for any loss or damage of any photos or essays entered in The Competition or for any other loss or damage resulting directly or indirectly from your participation in The Competition. The Competition Sponsor are not responsible for: (1) incorrect or inaccurate transcription of entry information or late, lost, incomplete, misdirected entries, or entries received through impermissible or illegitimate channels; (2) technical failures of any kind, including without limitation the malfunctioning of any telephone, computer, network, hardware or software; (3) the unavailability or inaccessibility of any service; (4) unauthorized human intervention in any part of the entry process or The Competition; (5) electronic or human error which may occur in the administration of The Competition or the processing of entries; or (6) any injury or damage to persons or property, including without limitation your computer, which may be caused, directly or indirectly, in whole or in part, from your participation in The Competition or from downloading any material. The Competition Sponsor will not be liable to you for any indirect, special, consequential, or punitive damages in connection with The Competition or these Rules and Regulations. By participating in The Competition, applicant entrants (a) grant to The Competition Sponsor the right to use his/her name, mailing address, telephone number, and e-mail address (“Personal Information”) for the purpose of administering The Competition, including but not limited to contacting and announcing the recipients; (b) grant to The Competition Sponsor the right to use his/her Personal Information for publicity and promotional purposes relating to The Competition, in any and all media now known or hereafter devised, without further compensation unless prohibited by law; and (c) acknowledges that The Competition Sponsor may disclose his/her Personal Information to third-party agents and service providers of any of The Competition Sponsor in connection with any of the activities listed in (a) and (b) above. We will not sell your information for any reason. All intellectual property, including but not limited to trade-marks, trade names, logos, designs, promotional materials, web pages, source code, drawings, illustrations, slogans and representations are owned by The Competition Sponsor and/or their affiliates. All rights are reserved. Unauthorized copying or use of any copyrighted material or intellectual property without the express written consent of its owner is strictly prohibited. If for any reason The Competition Sponsor cannot run The Competition as planned, (including as a result of bugs, tampering, unauthorized intervention, fraud, technical failures, infection by computer virus or any other cause that corrupts, impairs or affects the administration, security, fairness, integrity, or proper conduct of The Competition) The Competition Sponsor reserve the right to cancel, modify, extend or suspend The Competition. In that event, The Competition Sponsor may determine the winner from among the eligible entries received up to the time of the impairment, or cancel The Competition. The Competition Sponsor may also disqualify any individual who tampers with or in any way corrupts the entry or voting process, or who attempts to undermine the legitimate operation of The Competition by cheating, hacking, deception, or other unfair practices, or by attempting to annoy, abuse, threaten or harass any other entrants or representatives of The Competition Sponsor. The Competition Sponsor reserve the right to modify or cancel The Competition at any time including, without limitation, in the event of technical corruption, virus, bugs, non-authorized human intervention or any other technical problems, which may arise from time-to-time beyond the control of The Competition Sponsor, destroying the integrity of The Competition. No liability or responsibility is assumed by The Competition Sponsor, resulting from user attempts to participate in The Competition or if required, download any information necessary to participate in The Competition. These Rules & Regulations constitute the complete rules and regulations associated with The Competition. The Competition is subject to applicable federal, state and municipal laws and regulations. These Rules and Regulations are subject to change without notice in order to comply with any applicable federal, provincial and municipal laws or the policy of any other entity having jurisdiction over The Competition Sponsor. All issues and questions concerning the construction, validity, interpretation and enforceability of the Rules and Regulations or the rights and obligations as between the applicant and The Competition Sponsor in connection with The Competition shall be governed by and construed in accordance with the laws of the state of Alabama. All disputes, claims and causes of action arising out of or connected with The Competition or these rules and regulations will be resolved individually, without resort to any form of class action, and exclusively by the appropriate court.